An illusion tulle, sheer, applique lace and beaded bodice (available lined) with a soft chiffon skirt. Sweet capped sleeves and small train. 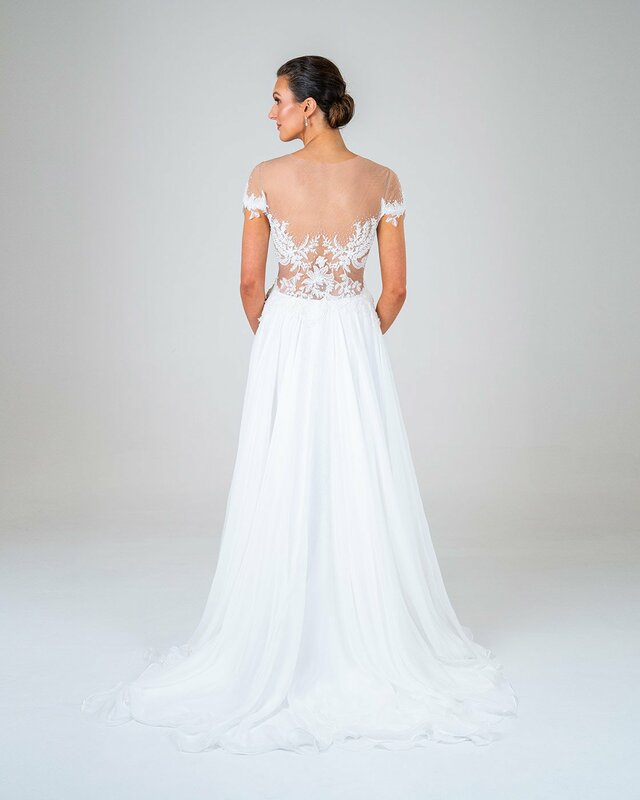 As with all our gowns any design changed can be made such as: strapless and lined, fitted skirt, spaghetti straps, lower neck, capped sleeves, sleeveless, smaller/longer train, beading, a variety of colours, interchangeable lace and more.